As kids go back to New York state schools this fall there will be a new topic on their timetables: mental health. 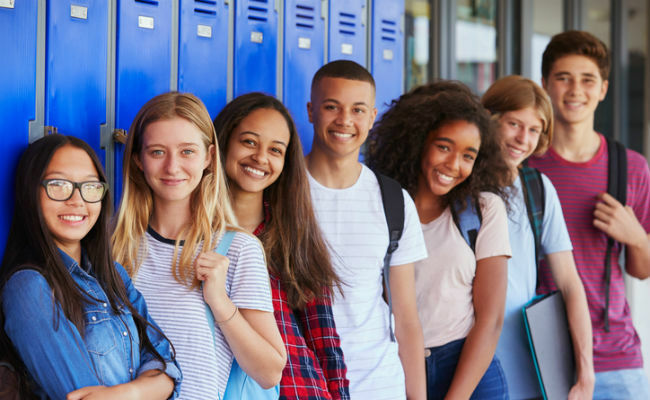 A provision enacted in July requires schools at the junior, middle and high school levels to deliver age-appropriate education around mental health. What this means in practice isn’t that schoolchildren will be getting a psychology lesson. Rather, they will be learning about mental health as part of a practice of wider self-care. Schools already emphasize physical wellness and dietary education. This mental health training is also not about being able to name all the various conditions that a person might develop — though a greater awareness of mental health conditions is something that the education will highlight. New York students will learn how to identify the early signs of mental health problems, discover how to put self care plans in place and increase student preparedness for dealing with mental illness. They will also learn what mental health treatment looks like and what forms it might take. The goals are to destigmatize mental health conditions and make the process of seeking treatment more routine and less scary. Through these lessons, teachers will help and encouraged students to talk about feelings, to identify typical emotional responses versus those that are not so typical and might be a sign of mental health problems, and what it means to seek treatment for mental illness. These changes come as part of the NYS Mental Health Education Advisory Council’s core recommendations. The group of experts and policymakers formed in August of 2017. New York is not alone in enshrining this kind of education. Virginia has enacted a similar, albeit slightly more limited version of this change (but with stricter enforcement measures) that will allow for mental health education among ninth and 10th graders. The focus there will be on expanding physical education to include mental health and wellbeing and create a comprehensive program on that basis. Mental health professionals and children’s charities have praised this kind of legislation, saying it is absolutely critical to ensuring children get the mental health support they need before they reach a crisis point either during their school years or beyond. What does mental health education mean for students and teachers? It’s estimated that over 20 percent of adolescents aged 13-18 will suffer a serious mental illness, while other data points to mental illness manifesting in the mid-teens and certainly by age 24. Meanwhile, suicide is one of the leading preventable causes of death, particularly among young men but with a growing proportion of young women too. This data alone makes the need to intervene obvious, but from a personal standpoint, as someone who suffered from mental illness from an early age, I can absolutely see the worth in this kind of intervention. I was first struck by serious depression aged 13, a few years after my mom died. However, I didn’t have any idea of what clinical depression was or how to identify it. If I had known the signs of depression I would have been able to proactively seek help, or at the very least communicate that there was something wrong that needed addressing. Without that knowledge, I suffered not just throughout my teens, but into my mid-20s precisely because I had never received education on the different kinds of mental ill-health and how, even when we’re depressed, some people appear to function well, all the while spiraling. Because I wasn’t able to seek help, I became a virtual recluse, dropped out of college and spent several years dealing with crippling anxiety. No child should have to deal with that, especially when mental illness is highly preventable for many people. Obviously, there is a need to ensure that we create age-appropriate lessons on mental health, so young people of all ages receive information they can actually digest and use. These efforts in New York State and Virginia represent incredible steps toward empowering young people. It also helps our overworked teachers, because no longer will they be the ones under sole pressure of identifying at risk-children in the classroom. Now, children may be able to spot the signs to help one another, and that could make all the difference. Children deserve to know that there is help out there if they or someone they know needs treatment or guidance for their mental health. Congress must pass legislation that models New York State’s approach and make mental health part of health and wellness learning in schools. Sign the petition now and make this change a reality! Now learning has become much easier as writer applications have appeared. I recommend Speedypaper , as I use it often.